Click on this link to be taken to that site. Thanks for thinking of Henry and being friends to us. Mommy, this is a very bad last night of Chanuka." 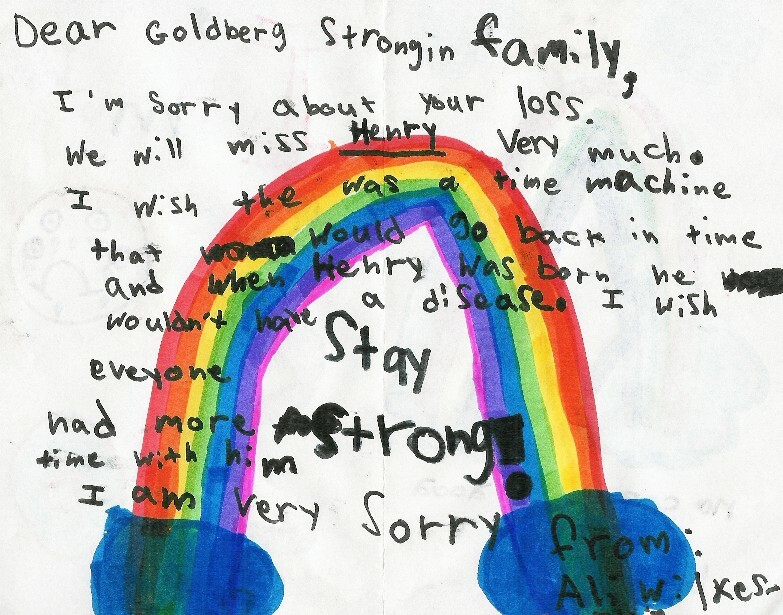 Those were the last words Henry Strongin Goldberg said before being put on a ventilator. And his last words ever. Just days later, on Dec. 11, Henry lost his battle with Fanconi anemia, a rare genetic disease, dying from complications of a bone marrow transplant. 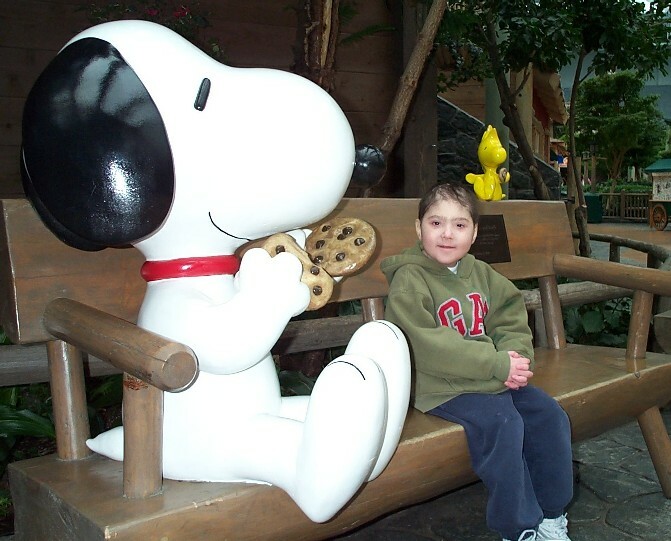 A District resident, he had spent nearly the last six weeks of his young life at Fairview-University Medical Center in Minneapolis. It was at that hospital that he had had the bone marrow transplant 2 1/2 years ago, a procedure that his parents, Laurie Strongin and Allen Goldberg, had hoped would allow their son to live. He was an "amazing" child, said Strongin, in good spirits -- despite a life of blood tests, surgeries, transfusions and chemotherapy. 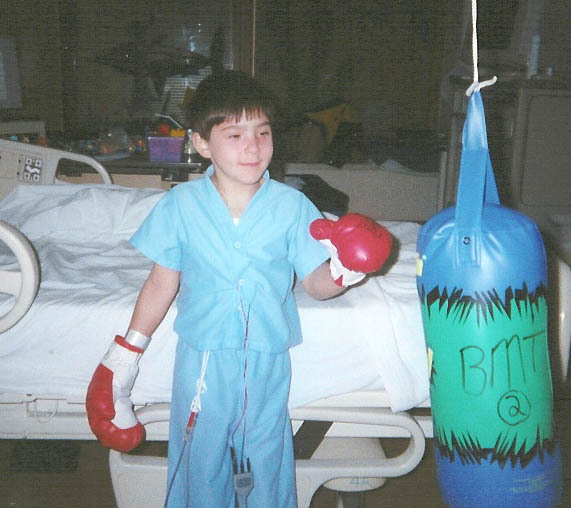 Until the last two weeks of his life, "he was indomitable," said his mom, "just brave and hopeful and strong." 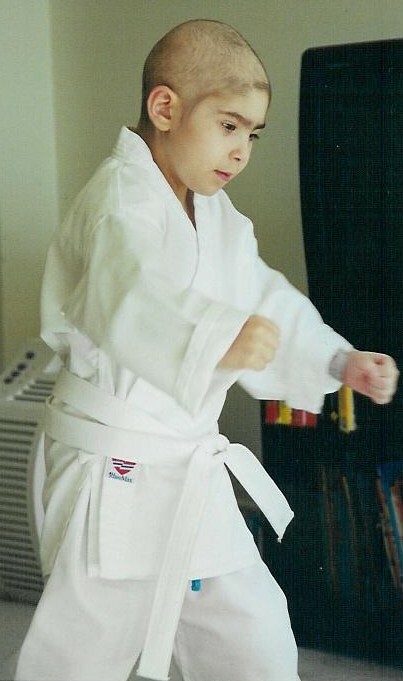 He loved Superman, Batman, Pokeman and Disney World, and had attended kindergarten last year at the Jewish Primary Day School in Silver Spring. This year, he began first grade at the school, but then as his health declined, he switched to home schooling. Earlier, he had attended the Gan Hayeled at Adas Israel Congregation in the District, where his family holds membership. 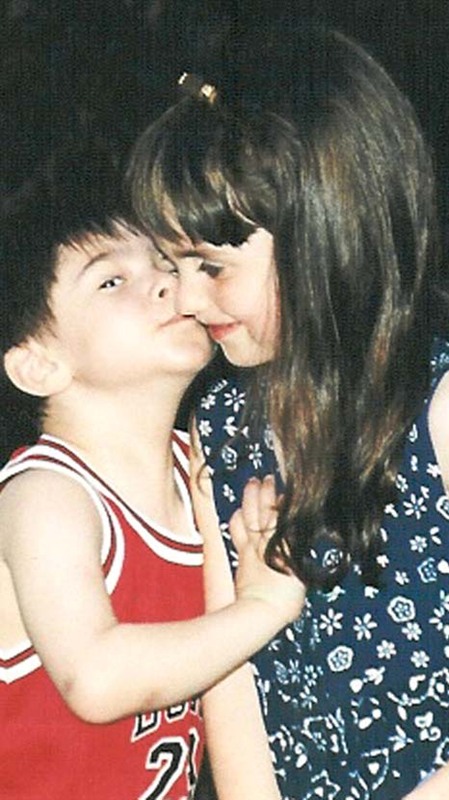 His brother, Jack, was born in late 1996. His parents had hoped he would be a genetic bone marrow match for Henry. He wasn't, but became his big brother's companion. Strongin and Goldberg decided to try in-vitro fertilization, trying to produce an embryo that would develop into a child with a perfect genetic match. They gave up after nine failed attempts at pregnancy, and were featured in a July 2001 New York Times Magazine article about the controversial procedure and the medical journey they were taking with their son. Henry was also featured on Nightline. The family sought an unrelated marrow donor. 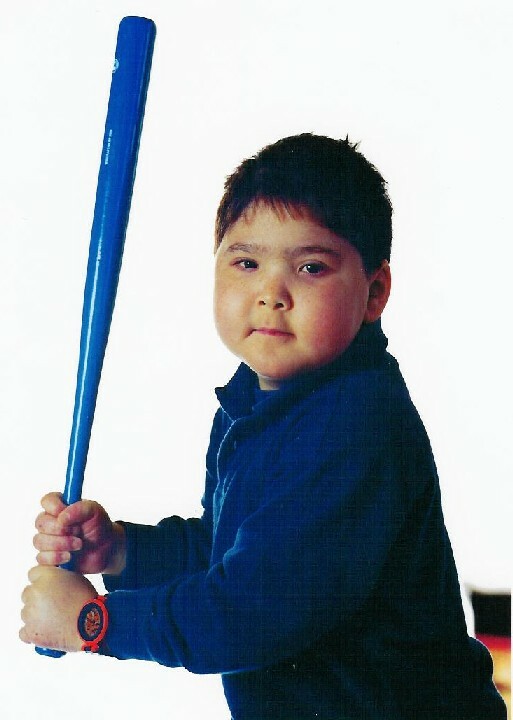 In April 2000, WJW featured an article about Henry and bone marrow testing drives being held locally in hopes of finding a donor. 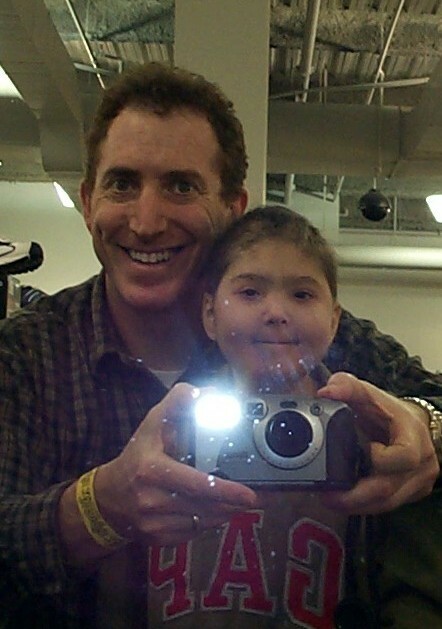 In July 2000, he had the transplant. "We tried everything we could," said his mom. "We don't have any regrets." Somehow, she said, "we were able to enjoy every minute of every day. While we didn't take it for granted that we were going to have a long life together, at the same time, we didn't really believe Henry would ever die." Meanwhile, 14 months ago, the couple had a third son, Joe, conceived, as Strongin said, "the good old-fashioned way." Joseph's genetic make-up did not match Henry's, but he and Jack are matches for one another. "They'd better not need it in my lifetime," said their mother. She and her husband hope to set up a foundation in Henry's name that will do research on Fanconi anemia. Meanwhile, they ask that contributions be sent to the Fanconi Anemia Research Fund, 1801 Willamette St., Suite 200, Eugene, OR 97401. Survivors also include Henry's grandparents, Ted Goldberg of Rockville and Pat and Sy Strongin of the District. 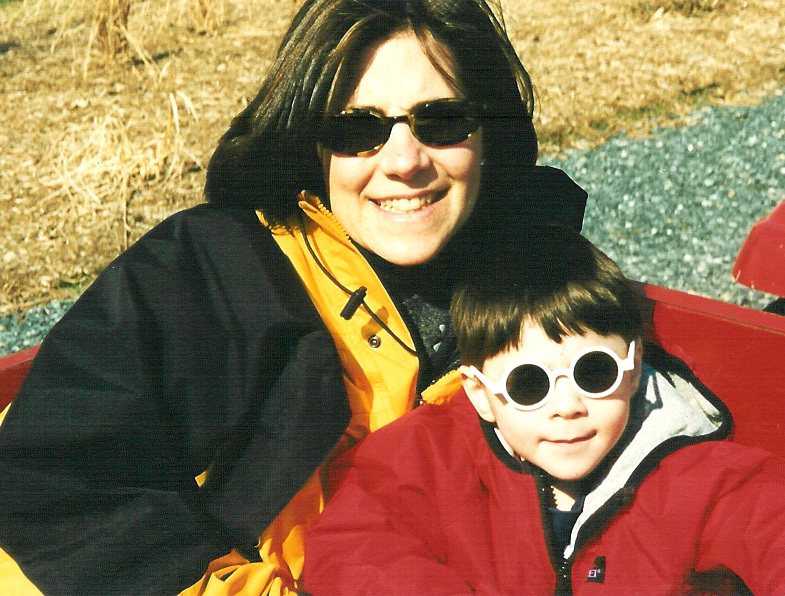 In a eulogy that Laurie Strongin wrote for her son, she said, "Before he could even smile or talk, Henry taught me what was important and what just didn't matter at all; and he taught me to savor each moment; to love; to laugh and to dwell in possibility." today or tomorrow laurie is planning to send out an email to our email list asking anyone who has something to share -- henry story, funny anecdote, whatever -- to email them to us. laurie's email is lstrongin@starpower.net and mine is allengoldberg@starpower.net . i went out to our minivan for the first time since getting back and found a treasure trove of henry's tchotckes stuffed in the pocket behind the front passenger seat. it reminded me of a whole bunch of things that henry loves. thank goodness he was such a pack rat. i think i'll be making discoveries of henry's treasures for months to come. normally, i couldn't/wouldn't step out of our house and away from henry without my cell phone. i lost it in the confusion of our return from minneapolis last week and i'm in no particular hurry to hunt it down. we're now taking jack to his and henry's school in a little visit. we are just going over to say "hello." i don't know how this will affect jack. i think it is going to be great for jack to see his friends and equally hard for laurie and me to see henry's classmates and teachers. jack appears pretty okay by day, his usual ebullience is just slightly deflated. a lot of jack's friends come over to visit, and has been going out for fun times with friends and family and their kids. it is at night when jack has the most trouble. this former king of snoozing two seconds after tuck-in has found that he cannot get to sleep. to help him fall asleep we've had he come in bed with us and another night laurie snuggled with him until they fell asleep together in the top bunk of the bunk bed that henry and he shared. 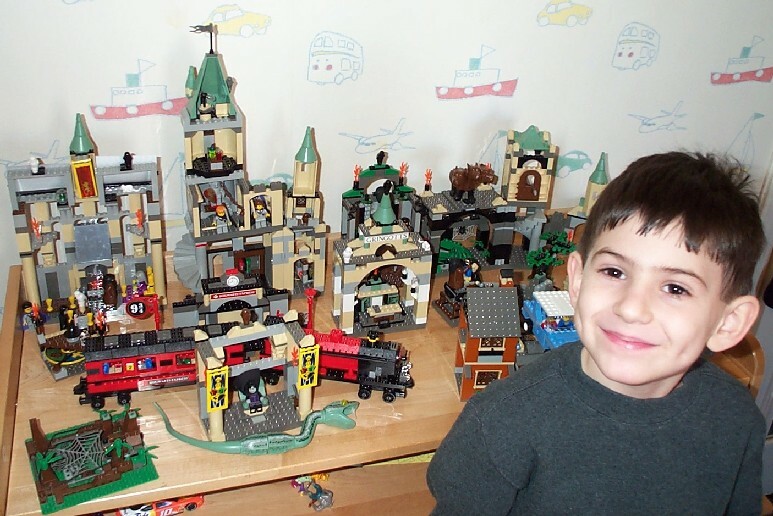 here is a photo that i just took of jack with his lego creations of the past few days. laurie and i have been giving him his birthday presents without waiting until his real birthday. he was afraid that he was going to have to celebrate his birthday in minnesota. Laurie, Allen, Jack, Pat, Sy, Ted, Abby, Andrew, Andy, Tracy, Jennifer, Dan, what is there to say? 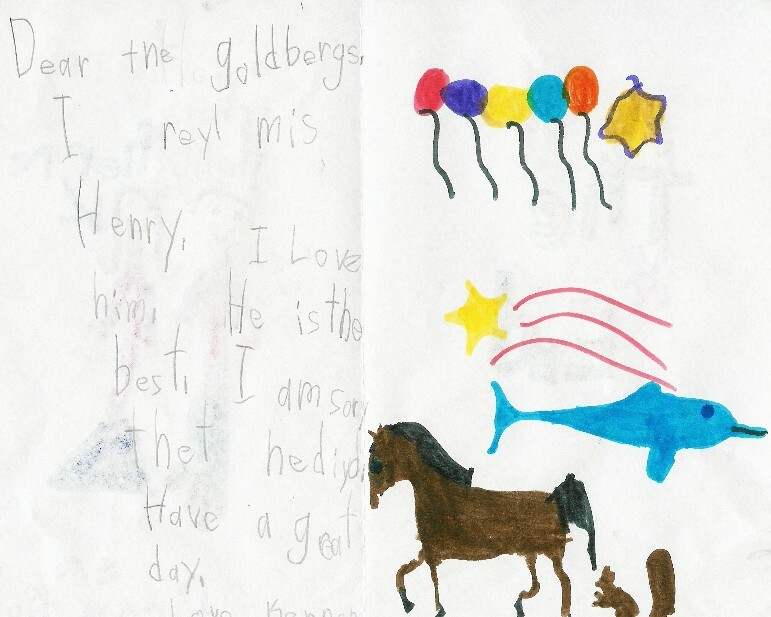 So much has already been so eloquently expressed by you, Laurie and Allen, through your e-mails, through your editorials, through your boundless acts of strength and compassion, and, most of all, by the rich, courageous, vibrant life of Henry Strongin Goldberg. In a sense, what is incumbent upon all of us to convey to you is quite simple - that we love you, that you are not alone, that Henry’s life and your life is testament to a source of compassion and strength that exists outside of us and through us simultaneously. After your loss, our loss of Henry, our task is to attend to those regions of the mind and heart where Henry continues to live. Our scriptures teach us, that the human soul is the candle of God. Just as divine energy, divine love, divine compassion reign eternal, symbolized for us in the eternal light in every synagogue, so that bit of love, compassion, that spark that animates us, lives on. Our task now, is to reflect on Henry’s remarkable life, and to sense Henry’s continuing presence, like a candle whose flame appears to be extinguished, but whose light continues to give off warmth and radiance. Henry was a light to all of us - to those of us who were involved in the intimate details of his day to day care, to those of us who are his family, to those of us who are intimates of Laurie and Allen, to his teachers, friends, parents of friends, members of this community, of work community - anyone who was touched by the life of Henry Strongin Goldberg. Henry warmed us with his courage. He inspired us with his strength. He delighted us with his spirit. 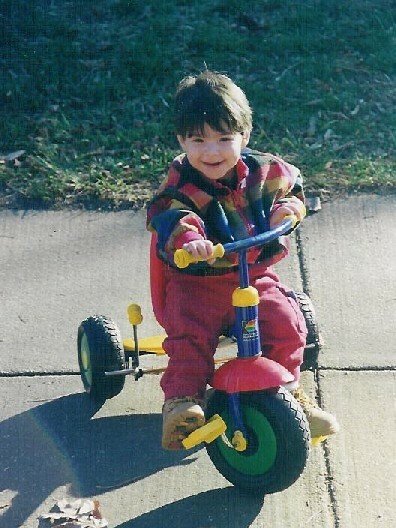 Henry imparted the life that comes with hope - in just his being a kid and partaking of the pleasures of childhood. It was Shelley Remer who first told me about Henry. Fighting back the tears, Shelley told me about the little boy in Elaine Berman’s class who would most likely have to have a bone marrow transplant. 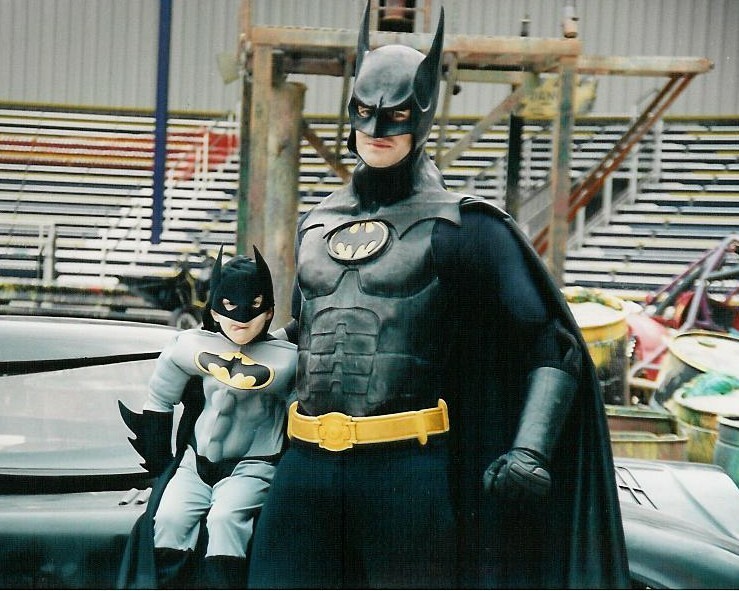 Shelley told me that I could pick him out immediately, because he was always wearing a Batman costume. And she was right. 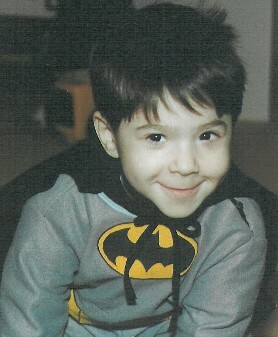 There was Henry, the first time I met him, eagerly and purposefully putting away blocks, wearing his Batman costume. I introduced myself to the kids in the class, whereupon Henry looked me right in the eye, pointed at me, and said, “You’re Mr. Ratburn,” a character from Arthur. As a parent, you learn to see the world through your child’s eyes based on how he or she plays. And even from this first glimpse, without all of Laurie and Allen’s reminders of how much Henry loved Pokemon, and superheros, it was clear that Henry saw the world as a place to embrace and to explore. 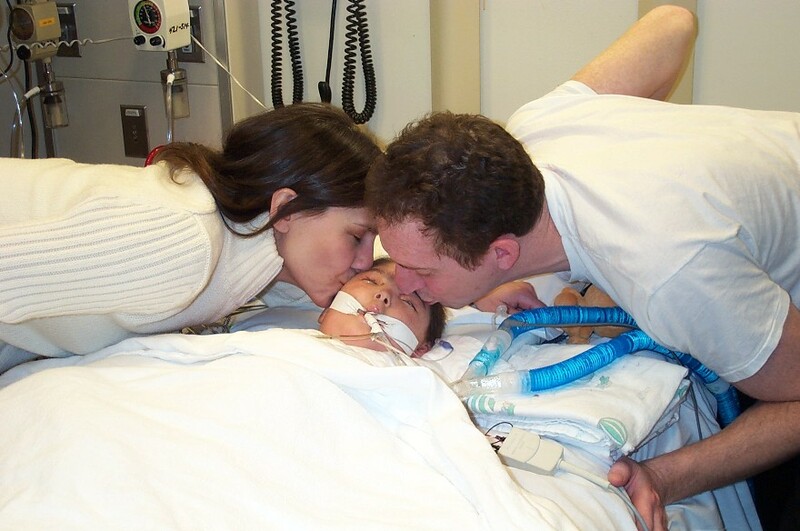 There are two stories that Laurie and Allen shared with me last night that I feel particularly compelled to share with you as a rabbi, because they exemplify the love and compassion that was so present in Henry’s life, and that can imprint Henry’s lasting presence upon our hearts. 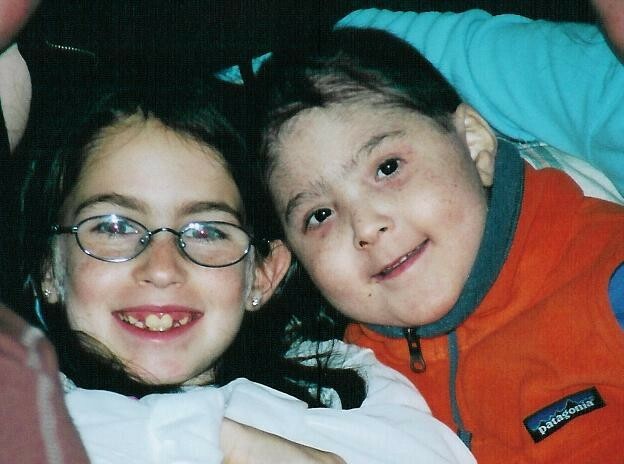 Many of you know of the love Henry had for his Sunflower teacher, Liani, and in particular, for her daughter, Bella. This summer, Bella was in a ballet performance, and Henry had to be there. The day of Bella’s performance, Henry woke up, cast aside his usual kid clothes for a pair of khaki pants, a yellow button down shirt and a blue blazer, came downstairs, and sat, all dressed, for two hours, until it was time to go to the performance. At one point, Laurie said, “It’s time to go,” And Henry said, “Wait. I have to get her flowers.” And to hear Laurie tell it, Henry sat transfixed throughout her performance, as if Henry was watching the love of his life. 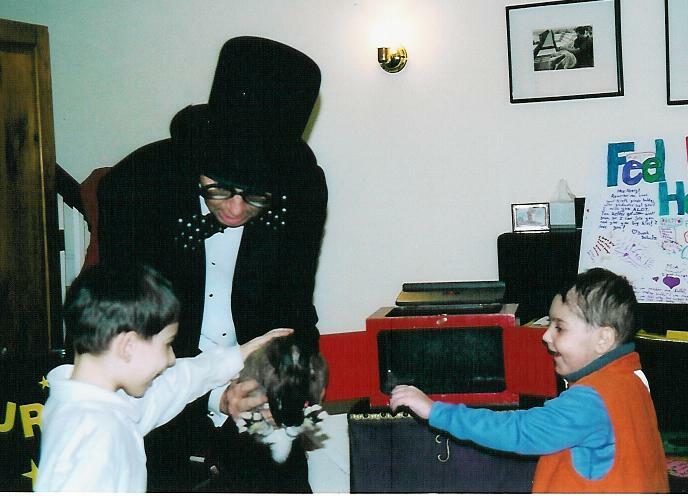 Many people remarked how Henry was a help to younger siblings. It was approximately a little over two years ago, at the time that Henry was about to return after his transplant, that a family at the Gan here at Adas Israel suffered a terrible tragedy, when a man died suddenly, leaving his wife and two small children. 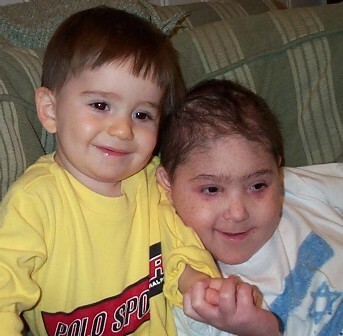 Simon, one of the children, had the blessing of being one of Henry’s closest friends. Henry said to Allen and Laurie, “I want to make him feel better. 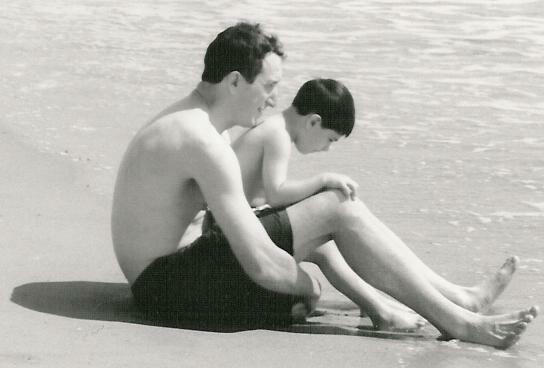 I want to talk to him about his daddy.” And so, at a time of fragile recovery, when the world had closed in on Henry and was slowly opening back up, Henry called his friend. If only we could embrace each opportunity for living so completely, that we could express our love so simply and so spontaneously. To the extent that each of us strives to live with great er compassion and tenderness, we embrace Henry’s living presence in us. Our tradition is wise in recognizing the profound degree to which we absorb the influences of parents and all who care for us. Henry’s love, his wisdom, his joy, his vitality were uniquely his, but they were also learned, and so in remembering Henry, we have to remind ourselves of the extraordinary accomplishment s of Laurie, Allen, Jack, family, Pat, whose constant presence and energy defy description. Laurie and Allen, you recalled to me last night, with great admiration, how Henry endured what he had to endure with steadfastness, never complaining, even though he had every right to moan until the end of time. I think I speak for everybody here when I reflect on how remarkable it is that, through disappointment, pain and great darkness, not once did you ever show any bitterness. We would love you all the same if you had, but the two of you must have made a remarkable internal decision that you were going to greet every challenge with a sense of purpose, with love and compassion, and with hope. For 7 years, you lived a life of no limits, because your love for Henry was boundless, and so your efforts to keep him alive were boundless. 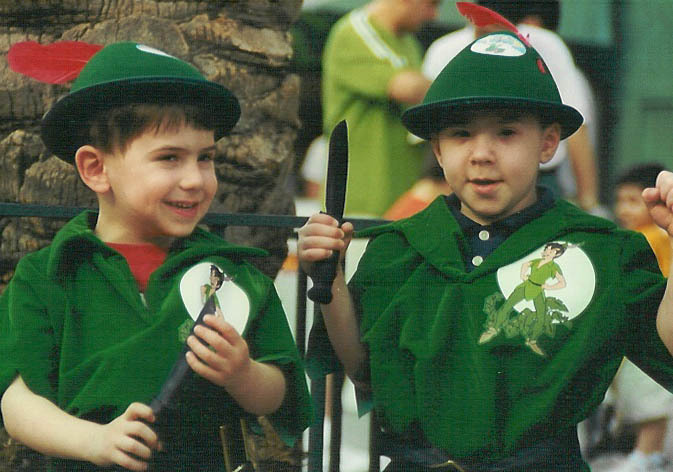 Jack, I hope that you feel proud, that you loved and will always love your big brother, who loved and will always love you. Henry loved you, Jack, simply because you were his brother, his best friend given to him by your parents, because your kind and considerate toward him, because you played with him and watched TV with him. The greatest thing any of us could ask for is a best, best buddy. When we grow up, that best, best buddy might be our husband or wife, friend, but when we are kids, that best buddy should be our brother. And Jack, you were Henry’s best buddy, the greatest thing he could ask for. 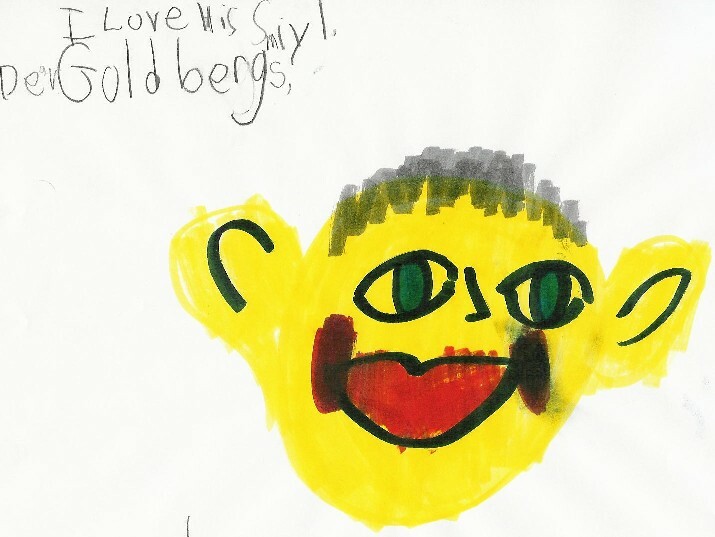 In my synagogue in Northampton, MA, we have a pamphlet titled, “Do Jews believe in the soul’s survival?” For me, having been blessed to know Henry Strongin Goldberg, the answer is undeniably clear. 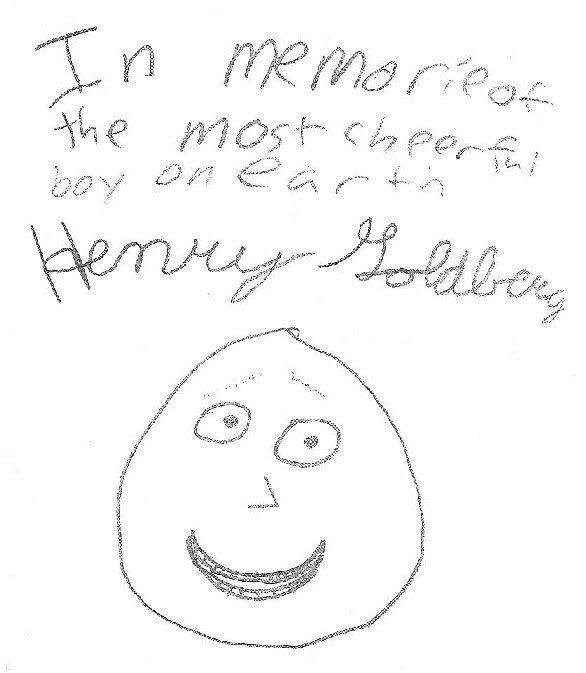 In all the concentric circles of relationship, love, support, that existed and blossomed around Henry Strongin Goldberg for 7 years, Henry’s flame, God’s little candle of vibrant intensity, illumines our lives. Any child who benefits from new treatments to fight FA will do so because of the fight Henry made. 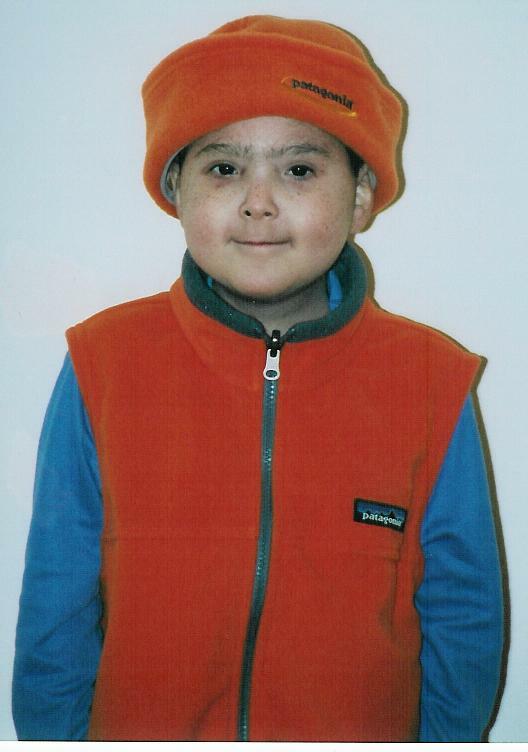 Any physician or researcher motivated to explore the lastest therapy will do so because of Henry’s brave example. Already, Laurie and Allen can tell you about children who have benefitted from Henry’s example. Henry will live on in the heart of every child who will be inspired by Henry’s life, directly or indirectly, to live more sweetly - with more vigor, compassion and imagination. Henry will always be alive for we who regarded him with love and admiration. And, Laurie, Allen, Jack, for 7 years your lives have been Henry’s life, so intricately intertwined. God’s candle that was given to you for too short a time has already ignited additional flames within you that nothing can extinguish. It is our tradition to bestow these humble words upon mourners - Ha-Makom yinachem. Rabbi Harold Kushner struggles with what these words mean in the face of tragedies such as yours. Instead, he looks for comfort in the following questions: How do we respond? What do we intend to do? Are we capable of loving, in a world that has disappointed us? With all of its imperfections, are we capable of loving a world, because it does bestow its measure of beauty and goodness? And can we love ourselves and the people around us, even though none of us is as strong as we would like to be? May these questions be the beginning of some solace and healing. 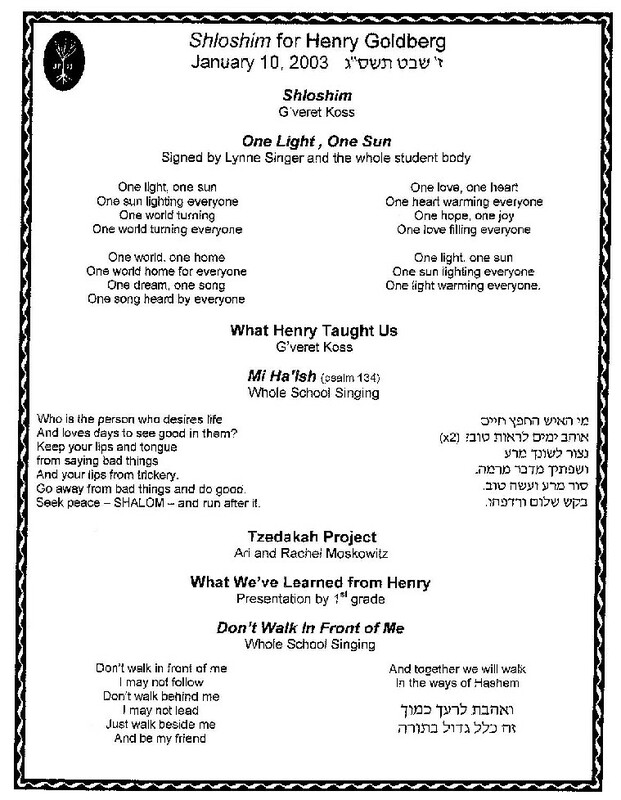 Ha makom yinachem - may the love of all of us here, and those not here, of family, friends, teachers, doctors, children, admirerers, lifetime friends of Henry, give you a glimplse of the ultimate love, that brings true comfort. 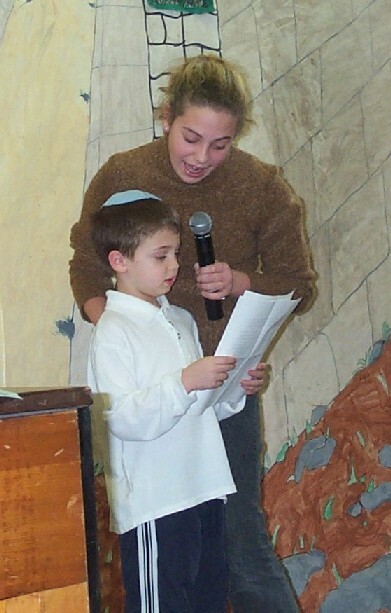 Y’hi zichro baruch - may Henry’s memory be an eternal blessing for all of us. Henry's grandmother, "Nana Pat," a.k.a. Laurie's mom, wrote this and read it last night at the Shiva. Climbing trees, exploring the secret passage, playing hide and seek. Playing with his beloved aunts and uncles and cousins. Henry was so fortunate, he even had two uncle stinkies or actually one Uncle Stinky and one Uncle Poopy. Winning at chess – he even beat Uncle Peter, who Henry suggested needed more practice – winning at endless games of war, teaching Jack the ways of the world, wrestling with Jack like they were Siamese twins, finally mastering a running somersault on the beach, driving the tractor at St. Michaels with Papa Sy, spelling Papa Sy’s name at the family Chanukah party, catching his first fish, taking responsibility for flushing his lines and giving himself his medication, sitting in that chair as he was wheeled in for his radiation treatment and singing songs, being with Grandma Phyllis and Papa Teddy, patting Joe Joe on the head with so much love – paddling the kayak, listening to stories (not encyclopedic facts like Jack liked), climbing trees, repelling rock walls with Debbie Blum, doing Tae Kwan Do, reciting all the lines from his favorite movies, laughing at his favorite parts over and over, loving Bella, going to Disney World, and loving his mommy and daddy, and Jack and Joe. But at the root of this Superhero was Henry’s good fortune to be born to Laurie and Allen, who with their endless bravery, respect for Henry and his life, love, devotion, advocacy for Henry, hope for Henry, fun-loving spirits, souls and willingness to share Henry with all his family, friends and the world . When Henry was born, Sy and I determined to celebrate every day of his life. I was especially lucky to have been given the gift to walk the road with Laurie, Allen, Henry, Jack and Joe – the greatest gift Laurie and Allen could have given me. There is a traditional Hebrew blessing Zichrono liveracha – His memory will be a blessing. The Goldberg Strongin family thank you for being here, for your love and for sustaining Laurie and Allen, Henry, Jack, and Joe through Henry’s journey. Thank you for sharing Henry with us. So Dance with Henry, sing his song and go out in the world doing good, making people’s lives better and Henry will live through all of us. 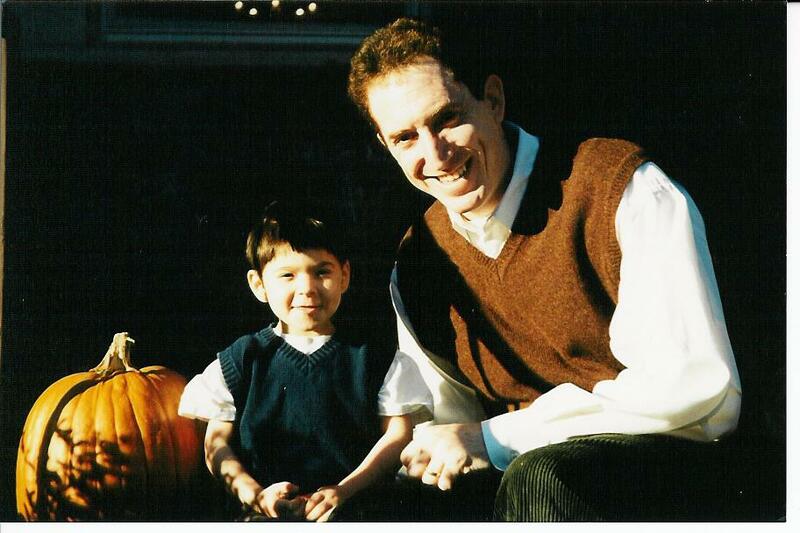 On October 25, 1995, Henry made me a mom and a better person. 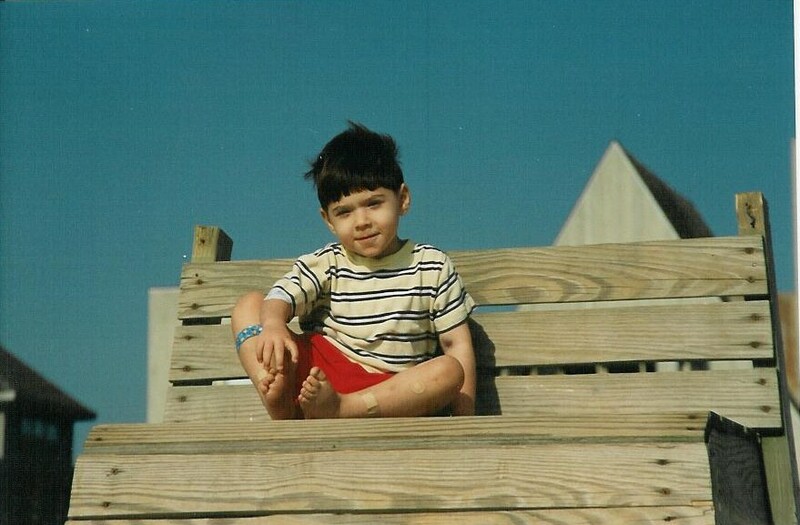 Before he could even smile or talk, Henry taught me what was important and what just didn’t matter at all; and he taught me to savor each moment; to love; to laugh and to dwell in possibility. And together as a family we have done just that, packing more smile and laugh-producing times together in seven years than many do in a lifetime. We have lived and loved as though we could one day lose Henry while simultaneously pushing love and science to their limit to ensure that we would have him in our lives forever. Henry has driven a tractor, fallen in love, danced with 10 women at one time, and laughed until he fell over. Just two days ago, Henry finally got the biggest, baddest Swiss Army knife which he held onto til the very end. We have lived every day with Henry to its fullest. We have had ice cream for dinner; transitioned from the hospital to running a lemonade stand in a matter of minutes; gone to Cactus Cantina seven nights a week; acquired every single Pokemon figure made. At last count we had 188. 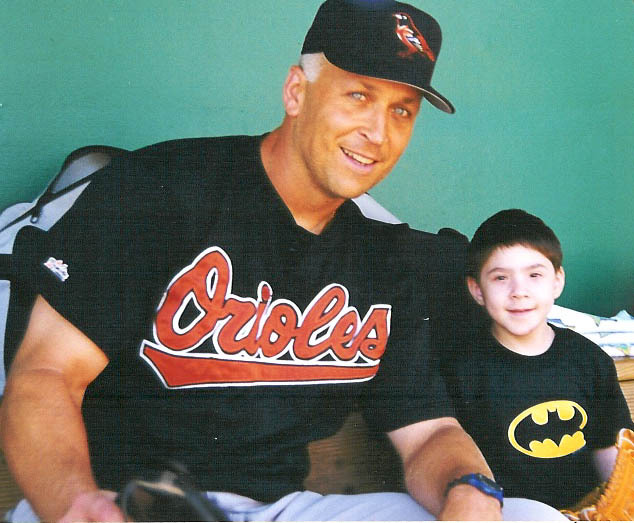 He met President Clinton, Cal Ripken, Batman, the entire Minnesota Twins, and more significantly, they got to meet him. We did all those things because at that moment in time we could and because, though we always hoped things would get better, we knew enough to go when the going was good. Just in case. As I’m sure all of you know, Henry just made everything better. 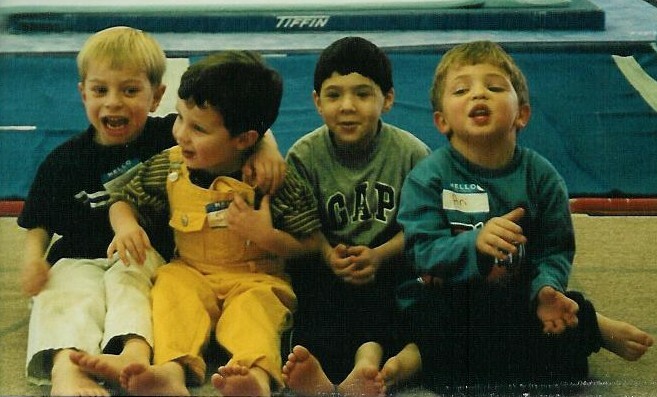 He was wise well beyond his years and he was so much fun. It’s almost as if all the good things in life were created with Henry in mind. No one had greater appreciation for Disneyworld, Funland, Sullivans or any of the other fun things in life than Henry. He was a great lover of music and could sing “Brick House” and dance with the best of them. I will cherish my memories of Allen and Henry dancing together in our home. It is such a privilege to be Henry’s mother and am thankful every day that Allen and I found one another and created such a wonderful, love-filled family. It’s no surprise that Henry has had an ongoing fascination with superheroes. 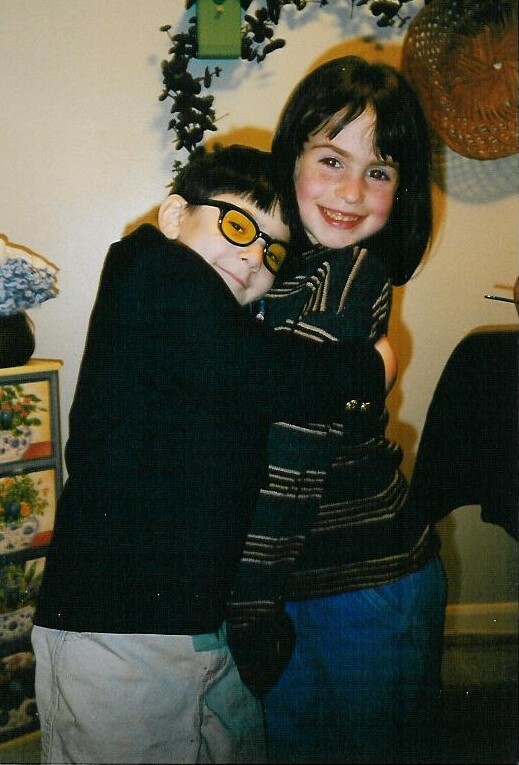 He put on a Batman costume for Halloween when he was two and didn’t take it off until we left for Minnesota 2 ½ years later. Henry didn’t need it anymore since he had received sufficient training and at that point he had achieved superhero status in his own right. As my brother Andrew said, Batman should wear a Henry shirt. My dad used to tell me that a day without me was a day without sunshine. Now I know what he was talking about. Sweetie, you are everything enjoyable in life. You are a lemonade stand on a hot summer day. You are the first piece in a box of Godiva chocolate; kite flying on the beach; the final encore at a Springsteen show; smores at a campfire; a piñata at a birthday party; fireworks on the 4th of July; a ride on a ferris wheel; the glow of candlelight during a thunder storm; finding a sand dollar on the beach; penny candy; class outside; the last ski run of the day; meeting your child for the first time. The loss of you drenches my heart in sorrow. One nightfall, the evening before we left for Henry’s transplant, Henry and Jack were taken by the magic of fireflies and started to run around our yard, catching one after another. Each catch was a victory and was met with curiosity and excitement. Some of those bugs sacrificed their lives at the clumsy, but curious hands of these three and four-year-old boys. I watched and let myself feel what it’s like to be a kid, filled with curiosity and wonder about the world. At some point I noticed that Henry had disappeared, so I went inside to see what had become of him. I went upstairs and slowly opened his bedroom door and heard a whisper telling me to come in quick and to shut the door. I found Henry lying on his back watching the fireflies, which he had brought upstairs one-by-one and set free, light up his room. I’m not sure how Cactus Cantina or Max’s Ice Cream will survive without you and I sure wish that Daddy, Jack, Joe and I didn’t have to. I miss you so, so much already honey. Our job now is to ensure that everything is better because of you. So, like you, we will draw our swords, but don’t expect the same resiliency. You set the bar high. Give us a while and we will make you proud, my son. So today we say farewell to your body and every day from now on we will cherish your soul and spirit for they live within us now. Goodbye Henry. i just got dressed. i haven't worn a suit much in the past few years. i bought this knowing i'd need it for my mom's funeral. 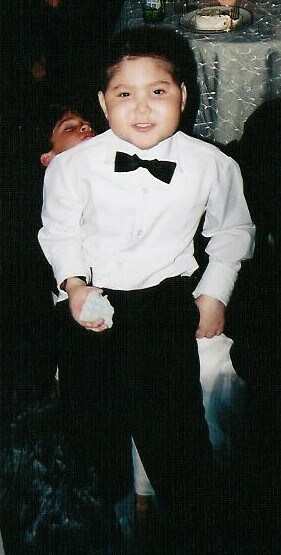 i took a look in the mirror and i look like a little boy in a man's suit. josh baskin at the end of big. henry would insist on wearing a sports jacket for his dates with his girlfriend bella. i turn 40 next week. i have made the same exact wish for the past 7 years when i blew out the candles. i need to keep updating the list of henry's favorite things, but now it is for me. he really like balls, and super balls, in particular. he loved baseball bats and had quite a collection of every size. he loved riding carousels and we rode them from martha's vineyard to central park to glen echo. and he was a connoisseur of things Digimon. it is really smokey out today. I don't know if anyone is still reading this but after the funeral I'll post the eulogy Laurie wrote. She is an amazing mother, a beautiful writer and the true love of Henry's life. My best friend Bill will read a letter that Henry's doctor, John Wagner, wrote that moves me to tears just thinking about. I think some other people might say something and I'll try to post whatever is appropriate. Thanks for caring about Henry, Jack and Joe. 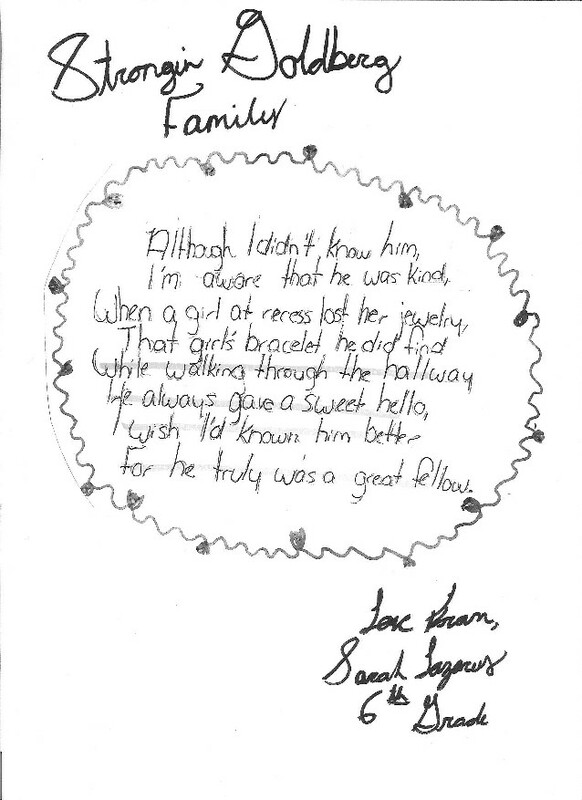 I've been fortunate over the past year to have emailed back and forth with Cindy Bullens, an incredibly talented (though woefully underappreciated) artist who lost her daughter, Jessie Bullens-Crewe, to Hodgkin's disease at age 11 in 1996. Cindy is kind enough to go around the country and play fundraising benefits for families like ours, in addition to her normal touring schedule. Cindy's album, Somewhere Between Heaven and Earth, does two important things (for me, that is) it captures a parent's grief and it rocks, or should I say, RAWKS!, dude. Her lyrics and music transcend the treacly pap I fear dominates a lot of the grief and mourning space. I would recommend her music to anyone (not just those mourning the loss of a child), particularly this album and her newest, Neverland, which features a stellar supporting cast of Steve Earle, Emmylou Harris and Benmont Tench. I think Cindy's music is going to help Laurie and me a lot. One of Laurie's favorite movies of all-time is Grease, and I think it bodes well that Cindy wrote and performed a lot of the music for the film's soundtrack. I've got this cranked, very loud, right now. Thanks Cindy. I gotta try to make some good out of the bad. Henry Strongin Goldberg, 7, whose parents' fight to save him using pioneering embryo research raised ethical questions and brought his case to national prominence, died of Fanconi anemia Dec. 12 at a hospital in Minneapolis. 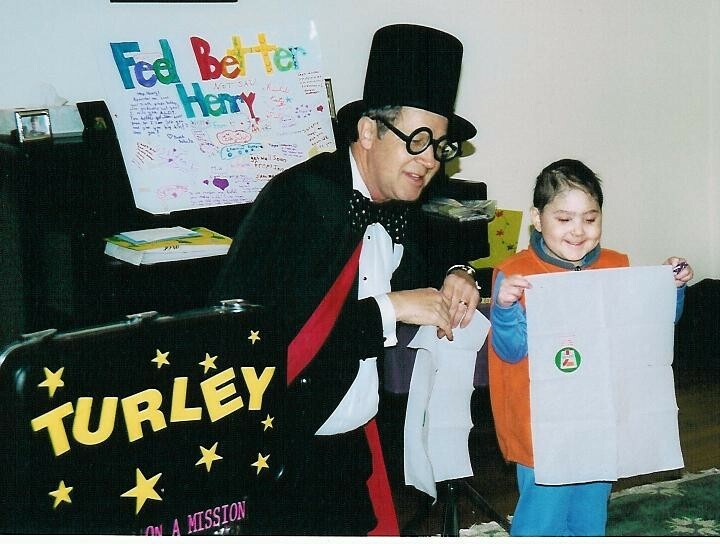 Henry, who lived in Washington, was a student at Jewish Primary Day School in Silver Spring when he wasn't convalescing at Georgetown University Hospital. 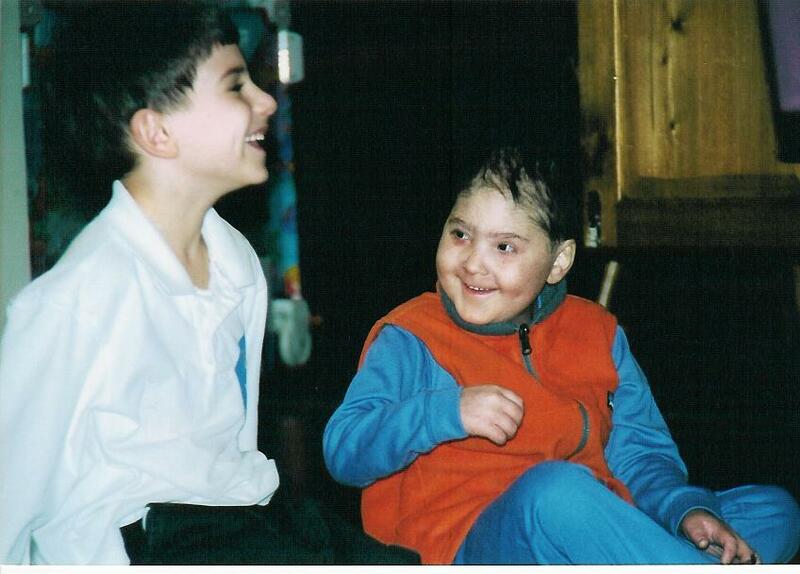 Doctors in 1995 determined that he had the rare disorder, which causes bone marrow failure. Working with geneticist Mark Hughes, who later resigned from Georgetown because of his research, Henry's parents, Allen Goldberg and Laurie Strongin, produced test tube embryos in the hopes of conceiving a child without the anemia. That child's marrow would be used in a transplant. Henry needed the transplant before the sibling could be born, and the procedure was performed at the Minneapolis hospital with marrow from an unrelated donor. However, the child of another family that worked with Hughes did receive a transplant of marrow from a sibling conceived for that purpose. Some ethicists and antiabortion figures denounced the process attempted in Henry's case, saying it amounted to "harvesting" children. Others, including Henry's parents, argued forcefully for its potential to save lives and alleviate pain. 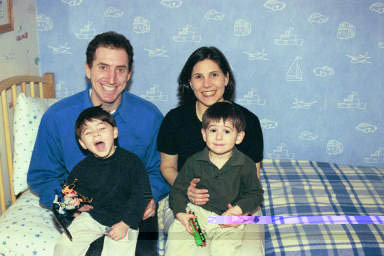 Henry's case was featured in the New York Times, on ABC's "Nightline" and on a family Web site. 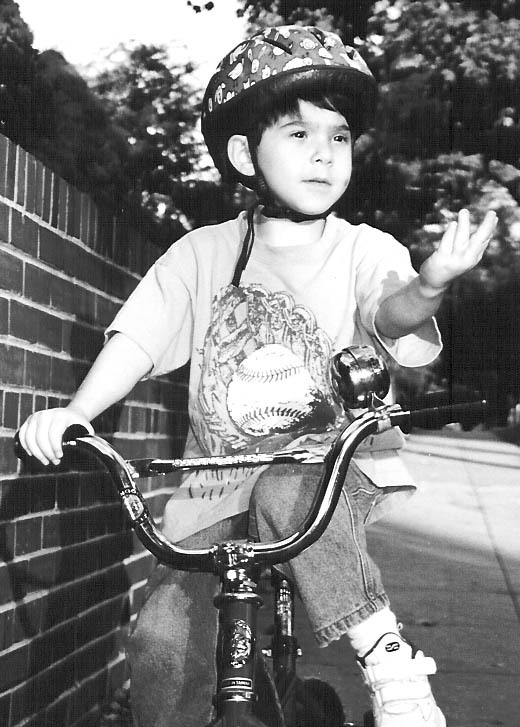 A "Nightline" producer described Henry as "an energetic, funny, scrappy, resilient little boy." He had been a member of the Dolphins of the Stoddert Soccer League in Washington and had gone to preschool at Adas Israel Congregation in Washington. Other survivors include two brothers, Jack and Joe, both of Washington; and his grandparents, Seymour and Patricia Strongin of Washington and Theodore Goldberg of Rockville. I must have been gone longer than I thought. I couldn't figure out which way to turn the knob in the shower to get hot water. Standing in the shower I remember how often Henry liked to get in our shower and just stand there for what seemed like hours. Sometimes when he wasn't feeling so great we'd put a little stool in there for him to sit on. But he just liked to be in there with the warmest water falling over his body until his skin was "pruney." He was also always game for a kiss on the glass. I'd put my lips up to the shower door from the outside and he'd press his lips on the other side of the glass and we'd smooch. 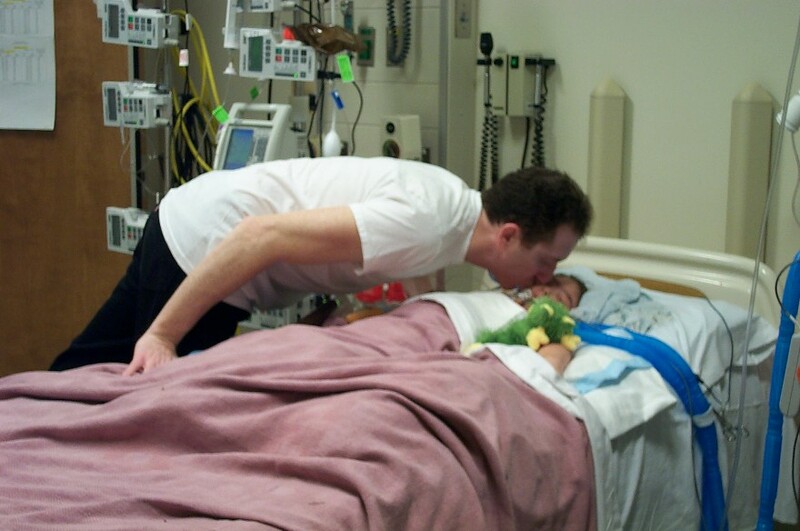 Tonight Nightline's John Donvan will introduce you to just such a family. mother's arms. He was seven years old. He’s the boss, so here I am. If he wants a day off, so be it. connection to tonight’s report, which may be worth sharing. last year he was in the same nursery school class as my own little boy. as I explain in the tonight’s report, it is a child killer. wrote a check. But Henry, the boy, was an abstraction to me. you come away feeling they deserve a medal just for how wide they smile. hypotheticals, what-ifs. But for Henry’s family, none of this is abstract. Facing life or death, they had to make real choices, and they did. Watch tonight. Meet a great kid. Not an abstraction. at 6:40 pm central time, henry strongin goldberg died. 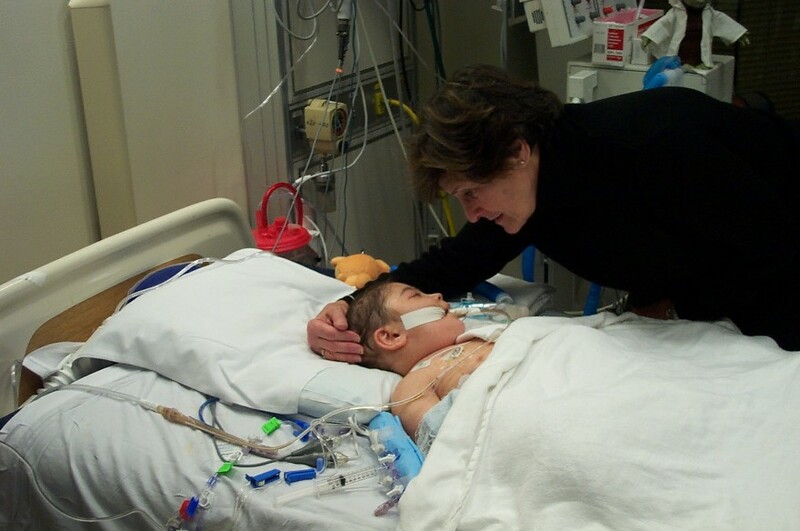 i removed his breathing tube and his heart stopped beating while laurie held him in her arms on a rocking chair in his room. henry remains a warrior to the end. we are less than an hour away (central time). it is all pretty surreal right now and i know the reality is going to hit very hard in 45 minutes. my sister and her family aren't here yet. these are a few photos we just took. i have a sense that the posts will trickle off soon. we are listening to smashmouth and doing arts and crafts. here is henry's hand print. more to follow. i just took a nap on henry's bed. i was laying on the end with my arms wrapped around his leg. so nice and perfect. no-one else is around. i have an idea. if anyone out there has any good henry stories or anecdotes, please email them to me and i'll read them aloud at 6 pm. thanks! that way everyone can share in this moment. dr. wagner was just in and we all sat around reminiscing about henry. the one thing that struck me is that henry always said, "let's just get it over with," or let's do this already," when he was going to have a procedure, or had to get blood drawn or had to go to clinic. he was impatient for the not-so-fun stuff to be over so he could get back to the good things in life. i know that henry is glad that we are following his instructions and "just getting this over with." they have him on pentobarbital which keeps him very relaxed and in a dreamlike state. we'll remove a lot of the tubes and the ventilator at 6 pm. we will get everything out of his mouth so we can kiss him. hopefully we'll be able to cradle him in our arms. we'll play his favorite songs (my brother-in-law brought some of henry's mixed cd's from home) and probably tell some good henry stories. a rabbi will be with us and we'll say the vidui prayer and the shema. I think I'll go swipe the menorah from the lobby of the hospital and we can break the rules and light the candles. Henry's last words to Laurie were, "Mom, this is a terrible last day of Hannukah." maybe we can make it better. henry will come home tomorrow morning on a flight separate from us. he'll then be at Danzansky Goldberg funeral home and if anyone wants to sit with his body you can contact Danzansky Goldberg at (301) 340-1400, 1170 Rockville Pike, Rockville, MD 20852.
the funeral is tentatively scheduled for 1 pm on friday at adas israel synagogue in washington, dc. 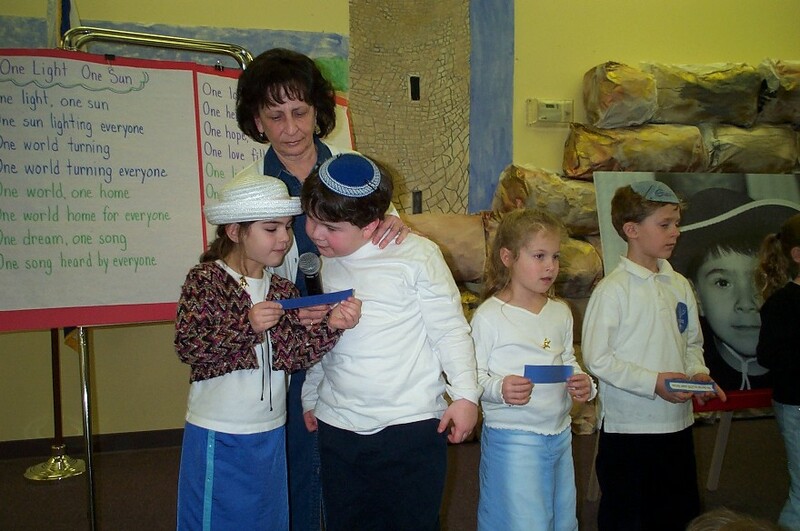 there are directions on the synagogue's website http://www.adasisrael.org. I am very scared that we only have a few hours left with Henry. laurie and i both had the same thought. what do we do tonight after he dies. it's not like you're gonna head to the movies or out to dinner. and we aren't home. maybe we'll drive around the lakes and as laurie suggested eat some of henry's favorite foods, skittles, garlic bread, chips, chocolate croissants and other nutritionally deficient items. i went with my dad and jack to get jack some big boy clothes for the funeral. i also bought henry the biggest swiss army knife they make. he always wanted one but laurie knew he was still too young. he doesn't have much of a palm but i put his fingers around it and he is holding it now. also, it is pretty ironic that we took jack to get something to wear when he couldn't care less. henry was the real clotheshorse in the family. he had style. the clerk at the store asked if we were out having a shopping day. i wish i had the wherewithal to say, "no, we're removing life support from my son today." we're working on funeral and burial arrangements now. i ran into the manager of the ronald mcdonald house earlier i found that i had to actually say, "my son is going to die today and we are going to be out of here by tomorrow morning. everyone else just walked in. this is too hard. 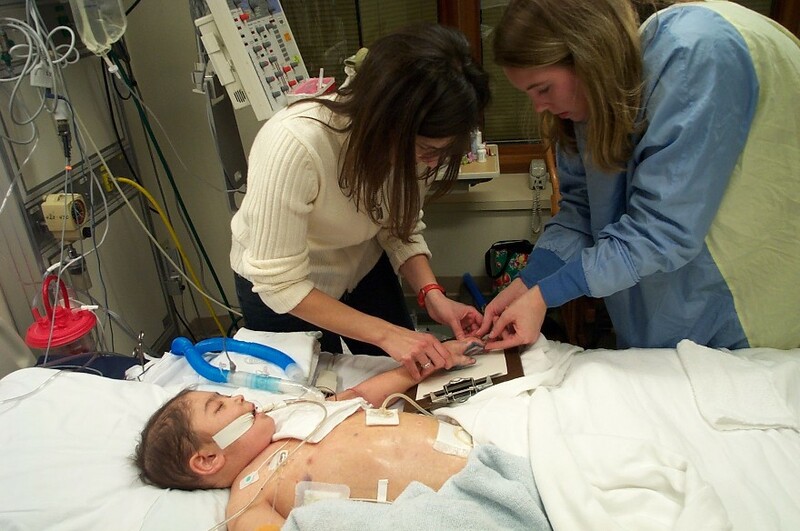 laurie and i just spoke with the doctor who first helped henry on the PICU. we told him that we want to shoot for 6 pm this evening. the funeral will most likely be on friday at adas israel in washington dc. my dad just came in. he lost his mother, wife and now his grandson all this year. gotta go cry now. we chose what day and time henry was born and now we'll do the same with his death. everyone is in. my friend, david abramson, cannot be back from israel in time to officiate at the funeral. the path is clear. laurie and i have been able to grab a few minutes together here and there and we've had great conversations about henry. thank god for laurie's amazing memory. she is helping me because i am still a blank. she reminded me how when henry learned her cell phone number he became a big abuser. he'd call it every chance he got and left messages like, "hi mom, it's henry. i am just calling you to tell you how happy i am, how much i love you and how beautiful you are. see ya." he'd do this over and over. i'm glad my mom isn't alive for this. but i am sad that my dad is physically alone. we are here for him as are my sister and his friends, but how hard must it be not to have someone to lay next to in bed and talk about how much you loved your grandson and hear that everything will be alright. henry loves all of his grandparents, aunts, uncles, great aunts, great uncles and friends so much. henry's school in washington is cancelled today because of ice. i'd like to think that they decided to close for a day to honor henry. strangley it is a lot warmer, nicer here in minneapolis. i just looked out over the mississippi and there is a thick fog. henry would have said, "it's smokey out today." jack wants to blow off school and his field trip. that's probably a good idea. i think i'll take him to go buy a jacket and tie today. henry and i are sitting listening to Joseph and the Amazing Technicolor Dreamcoat in the early morning quiet. actor was another profession i could have seen for henry. he was the artistic one while jack is the science guy. or baseball player. henry could hit the ball a mile. it is very nice. i cannot stop crying. i bet it is going to be like this for a long time. you'd think they'd have softer kleenex. this is what henry had to use for so long. that's no fair. i should have brought in some softer stuff from the outside. how can the nurses sit there and watch this. i talked to one of the doctors last night to make sure they don't stop caring for henry at the same level as before we decided we weren't going to go the distance. he really is so beautiful. just so everyone understand just how crazy this all is, here are pictures that henry and i took together less than a month ago right after we came up here. we took these to email to laurie, jack and joe to show them we were having a good time. well this isn't hollywood or hogwarts. my tears just didn't do it. nor did my kisses and hugs. this afternoon we spoke at length with henry's transplant doctor, john wagner, who told us he wasn't entirely convinced it was aspergillus. we decided (laurie wasn't too psyched, but did it for me) to go ahead with a lung biopsy to find out for certain if it is a bacterial or fungal infection. this was scheduled for tomorrow. about 20 minutes after we finished a BMT fellow came over to us to explain that they just received the results of another culture confirming the presence of aspergillus. that's it. no more. 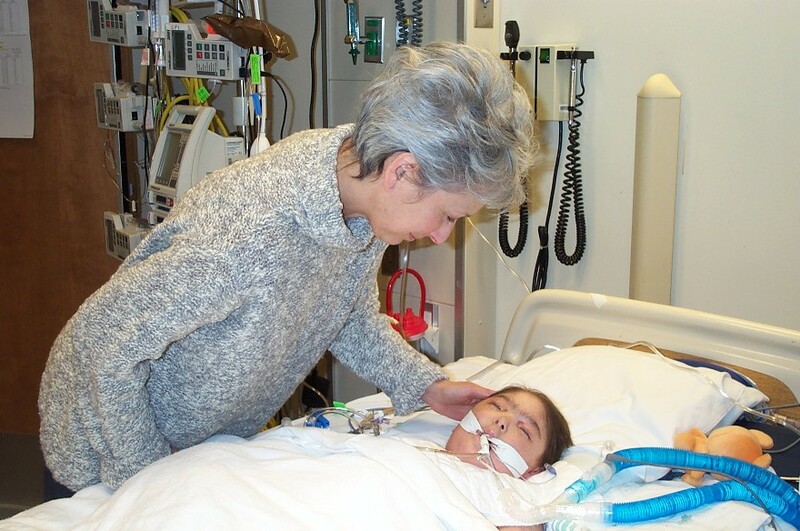 aspergillus is unbeatable, Fanconi anemia wins. this stupid genetic disease that i was sure was no match for the latest medicine and the greatest love beat us to a pulp. the ultimate defeat. we are now focused on keeping henry comfortable. 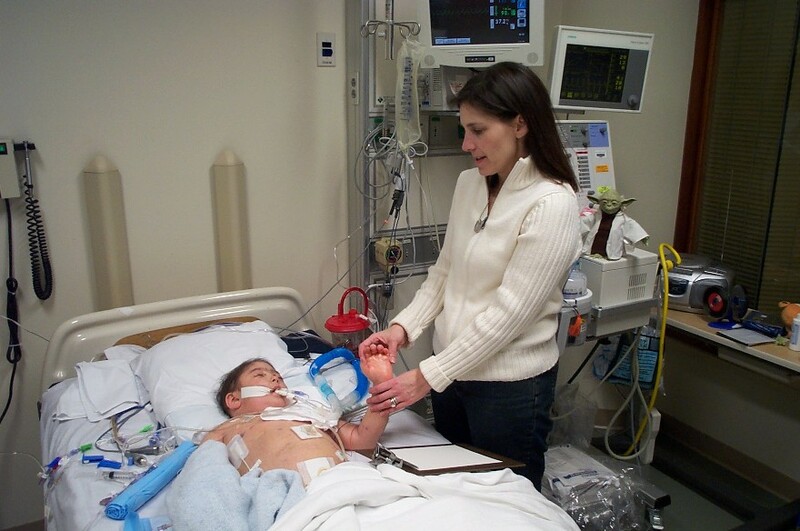 we'll discuss a strategy with the PICU attending for letting henry go gently. family members will start arriving tomorrow. we want to have everyone here when henry dies. we will have jack and joe front and center. laurie and i took jack to dinner tonight. jack drew a picture of the family, everyone has on kippot because of hannukah. henry has tubes and wires and is happy because he is out of the hospital. i explained to jack that henry will indeed be happy to be out of the hospital and it will happen this week. 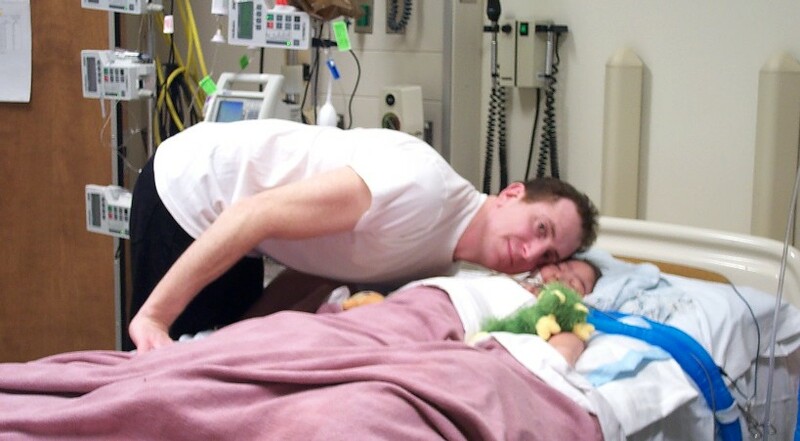 i told him that henry fought very hard not to be sick but in the end the sickness was stronger. i told him that henry was coming home but he was not going to live any longer. i told him that we are going to have a funeral and we need jack to help bury henry just like he buried grandma. i told him that henry loves jack and henry knows that jack loves henry. he sat in laurie's lap with his arms around her and wept. i told him that he didn't need to be strong. 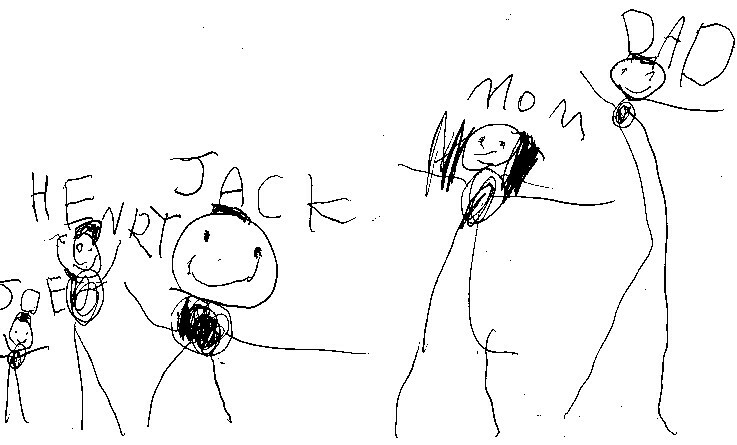 laurie explained that she was crying because she is so sad and it is just fine for jack to cry as much as he needs. i dropped laurie off at the hospital and went to take a shower at the ronald mcdonald house. the water would only get luke warm. laurie is writing a eulogy. she is writing a book about our life trying to save henry's life. i started this diary to help her understand the chronology of this visit, which was supposed to be a short one, and what i have been feeling. i didn't know this would become the final chapter. as hard as it might seem to believe, i really thought henry would be president of the united states one day. i thought he had the wisdom and disposition for the job (like his mother, but i don't think she needs the headache). i am not comfortable writing about him in the past tense. it'll take some getting used to. i don't think i'll be able to say anything at the funeral. i want to make a cd of henry's favorite music and have it duplicated and hand it out at the ceremony. then people can take it home and always think about this special guy every time they listen to the music. i know i'll be thinking of him every waking moment and when i sleep. i just want the good memories back. i know we rode the roller coaster at the mall of america last month. i just can't get the picture in my head. we've been saying goodbye for a while now, but it isn't very easy. the fact that his body is here but everything else is checked out is a good thing. it gets you used to him not being around. jack has just come over and is going to have a sleepover at the hospital with me and laurie. tomorrow he has a class field trip to a nature center. he loves that stuff. he'll be okay. joe is probably too young to know anything is wrong. maybe he does and that is why he won't stop smiling and walking and giving us joy. how incredibly lucky i've been to not only know henry, but to be loved by him and to be his constant companion for so long. after two years of hanging with henry, my best friend, i guess it is time for me to go home, love laurie, jack and joe, find a job and get on with life. so long my superhero. Henry and I used to sing this together all the time. And you're miles and miles from your nice warm bed. You just remember what your old pal said. Boy, you've got a friend in me. Yeah, you've got a friend in me. If you got troubles, I got 'em too. There isn't anything I wouldn't do for you. Cause you got a friend in me. Some other folks might be a little bit smarter than I am. It's me and you, boy. You gonna see it's our destiny. Yeah, You got a friend in me.